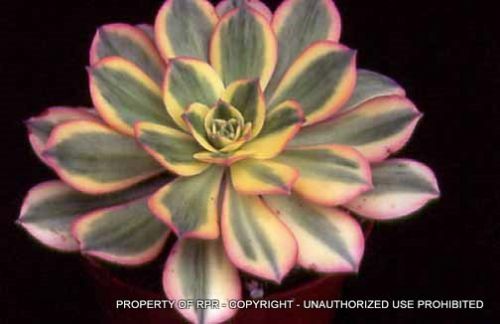 This Aeonium grows to 14" wide or more and takes full sun or partial shade. Very dramatic colors of yellow, pink and green for the tropical looking garden or for containers. It is not as hardy as Aeonium 'Zwarzkop', but can take very light frost. It is great in mixed containers.